TUNIS – The recent terror attack on Berlin’s Christmas market – which killed 12 and injured more than 50 – cast a pall over this year’s holiday celebrations across Europe. Viewed from Tunis, where I happened to be during the fallout, the attack has also had a major, albeit different, impact. Tunisia, after all, is the home country of Anis Amri, the alleged perpetrator. Like Europeans, Tunisians fear terrorism. But they fear not just individual terrorist attacks, like those in the Bardo museum in Tunis and on the beach in Sousse in 2015, or even the numerous political assassinations it has faced since its regime change began in 2011. Tunisians worry that social upheaval will destroy their remarkable but fragile young democracy. Neighboring Libya offers a stark illustration of what that could look like. The prospect of Tunisia’s government attempting to manage the situation alone is not an attractive one. 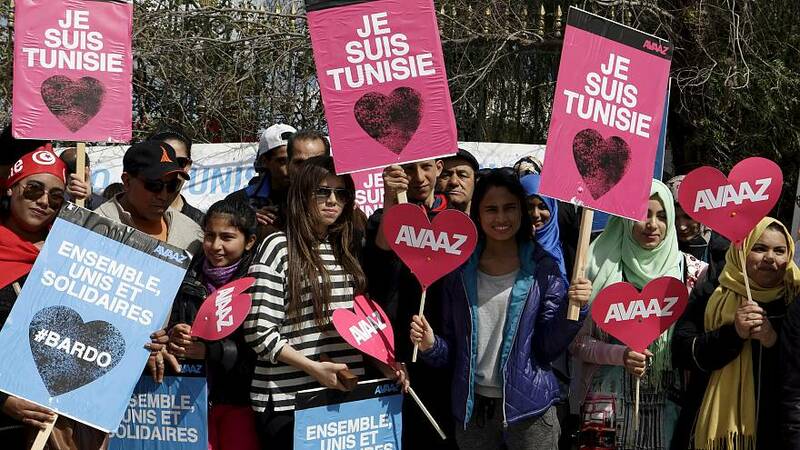 Tunisians know that their state is weak and cannot really protect them. They could end up like Egypt, which is becoming a police state, or move in the direction taken by Algeria, where a brief flirtation with political Islam 25 years ago gave way to an authoritarian clampdown and years of violent conflict. Making matters worse, concerns about terrorism have all but killed off Tunisia’s large tourism industry, severely weakening the economy. As a result, a country that already receives International Monetary Fund support is trying to buy social stability by increasing state employment. To contain the bulging budget deficit, it has opted to increase taxes, further reducing growth. This downward spiral has become institutionalized, as the main unions have dug in their heels and civil society has become disillusioned. Young people, in particular, lack trust in institutions – a serious problem in a country where 38% of the population is under 25 years old. The young people I met in Tunis, brought together by the British NGO Forward Thinking, which promotes understanding between Christianity and Islam, come from across the political spectrum. But they have one thing in common: they view themselves as victims of globalization. The international community is, in their view, conspiring against them, undermining their chances to find employment and form families. This perception has created fertile ground for terrorist recruiters; Tunisia has sent more jihadis than any other country to fight in Syria and Iraq. The threat of cross-border terrorism has attracted international attention to Tunisia. But it is not the only reason we should care about the country’s fate. Tunisia remains a beacon of hope for democracy and political freedom in the region. I visited Tunis with a former official from Ukraine, a country that, despite having a very different history and culture, has a lot in common with Tunisia. Ukraine, too, experienced a revolution that drove its former leader into exile, only to see sought-after reforms stall. And both have faced serious disruptions from war (in Tunisia’s case, in Libya), including an influx of displaced people (each country is home to around two million refugees). The international community must help to ensure that both Tunisia and Ukraine can fulfill their revolutions’ potential. This must include help in dealing with refugees, as well as – and more important – support for broad state-strengthening reforms. For all of its flaws, the political dialogue that has been initiated in Tunisia, thanks to the Islamist movement Ennahda and the non-religious parliamentary parties, has saved the country from the political abyss. But unless the government can deliver on reforms, that dialogue will collapse – and so will the prospects of Tunisia’s young people. Ukraine holds a lesson here as well. Its reform process has taken hold, thanks partly to significant outside support. But entrenched interests are still resisting progress. While reforms must be owned domestically, outsiders – in particular, the European Union – can help to reinforce the local vision by providing a viable path of institutional change. Extending a helping hand is in the EU’s self-interest. It, too, is facing a refugee crisis, which it cannot address without effective partnerships. For example, European institutions and the Spanish government have succeeded in containing the flow of migrants across the Strait of Gibraltar. To get a handle on the wider migration crisis, while making migration less hazardous for the migrants themselves, more deals with credible partners must be made. And here, Tunisia is a good candidate. Europe already has been able to negotiate arrangements with Tunisia to restrict migrant flows and to return those who have been denied asylum. Yet the Berlin attack highlights the limits of the country’s institutional capacity. Apparently, Amri’s expulsion from Germany was postponed, owing to the Tunisian bureaucracy’s slowness in confirming his citizenship. That is why the international community must also offer Tunisia resources to strengthen its state agencies and civil society alike, as well as a vision of closer integration with the EU to help direct the political process, much as it has done in Ukraine. This is not about EU membership, but about opening up markets and relaxing visa restrictions (admittedly a hard sell after the Berlin massacre). The fear, in both Tunisia and Ukraine, is that Europe will close its doors further. I saw the distress in the eyes of Ukrainian reformers after the United Kingdom’s vote to leave the EU, and I sensed a similar reaction in Tunisia when the Berlin attacker’s identity emerged. By attempting to insulate itself from the outside world, Europe would only end up depriving these countries’ citizens of any hope of better lives at home.